Project Envolve Ambassador program. All opinions expressed in the post are my own honest experiences. So technically this recipe may not be a pie. It’s more of a bar, but I am calling a pie. Who says pie slices can’t be square? The recipe is delicious, but you will be amazed at how much time and money you can save with small batch cooking! 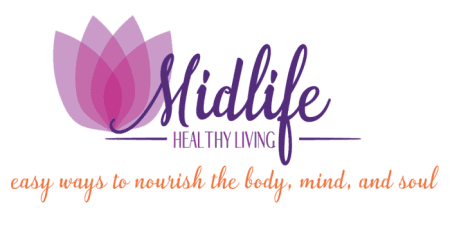 This year, we’ll be spending a lot of our holiday celebrations in smaller gatherings. You may be surprised, but that makes me really happy. It means I will be spending less time in the kitchen cooking and baking. Being able to prepare our holiday dishes with small batch cooking recipes means I can be present. I’ll have more time to live in the moment! Small batch cooking! This is my new found love. Cooking and baking our meals in smaller sizes. When you go from cooking for five to cooking for two, it takes a bit of time to get adjusted to cooking less. This was a light bulb moment for me! Why the heck am I heating up the whole oven to make a meal or dessert for two? 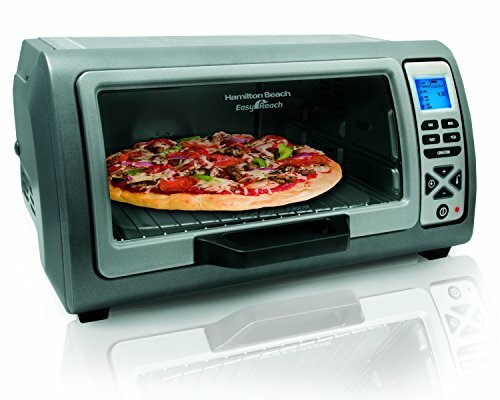 If you are making a small or medium sized meal, a toaster oven is more energy efficient than using a conventional electric oven. For years, my husband has been talking about buying a toaster oven. I kept putting him off, thinking we didn’t need one more kitchen appliance. Well after a bit of research, I have changed my mind. Small batch cooking in a toaster oven is changing my life. (hubby’s too!) P.S. Do not tell him he was right about the fact that we needed a toaster oven. 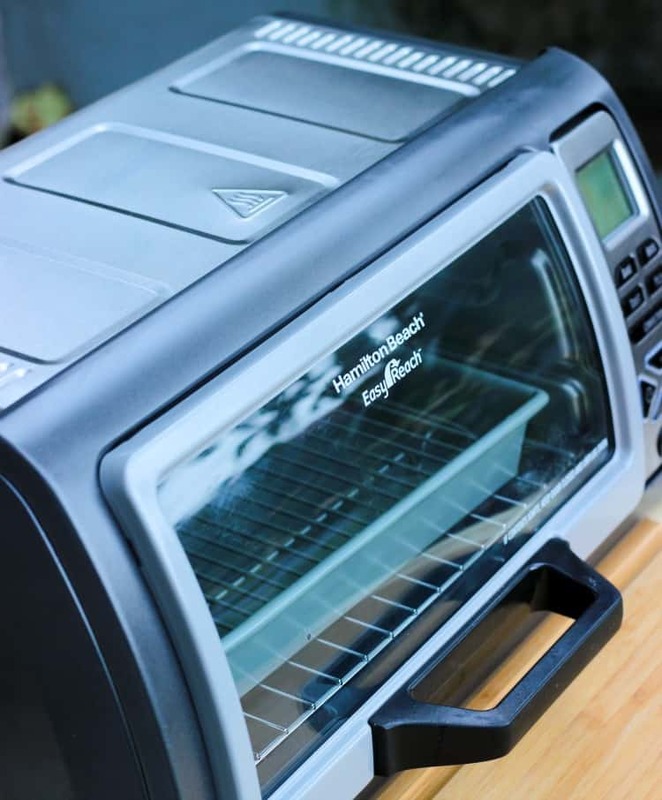 Did you know that a toaster or convection oven uses one-third to one-half as much energy as a full-sized oven? 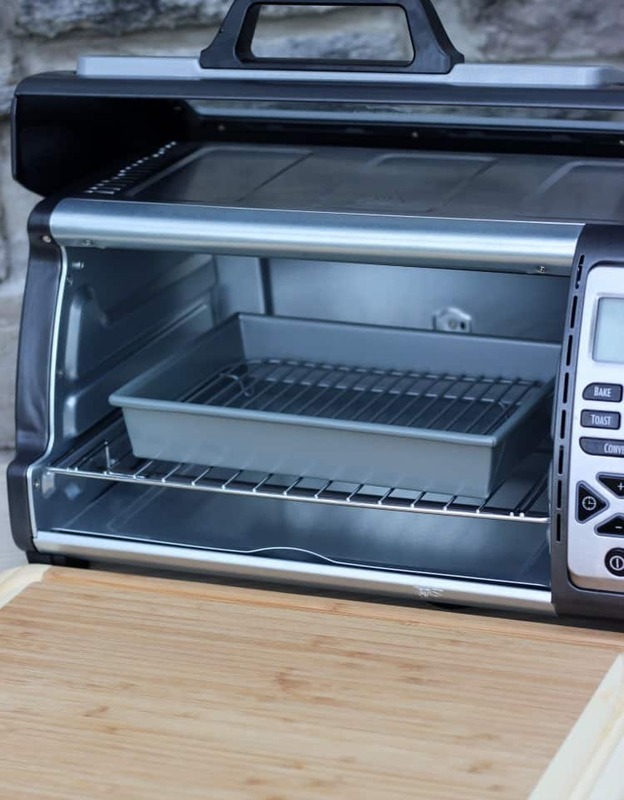 Also, keeping the inside of your toaster oven and microwave clean helps add to the energy efficiency of your appliances. When your saving energy, it can only mean saving money. It’s easy to cut down on electricity consumption by using appliances that are more energy efficient. Around the holidays I like to have extra money to shop and entertain, so cutting down on energy use to save money, frees up some extra spending money. 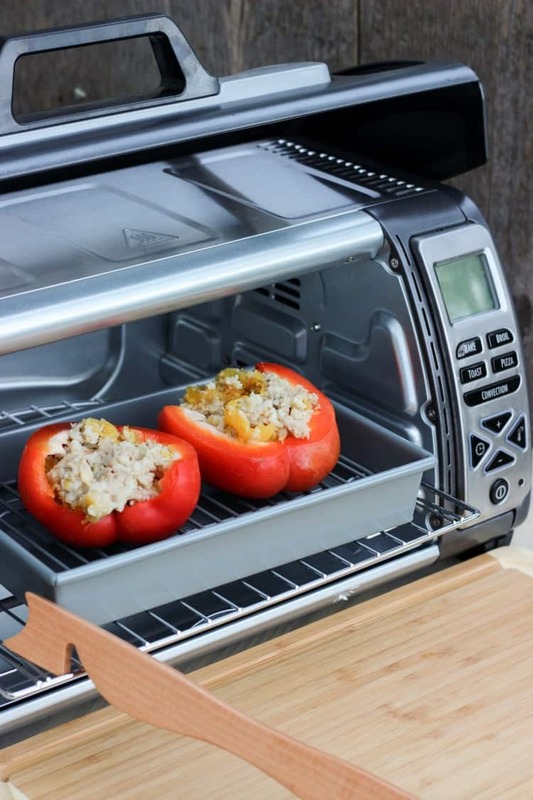 We already talked about the toaster oven, but did you know other kitchen appliance you may already have can help you save money, too? Are you ready to try some unconventional cooking? Don’t get scared it’s easy! 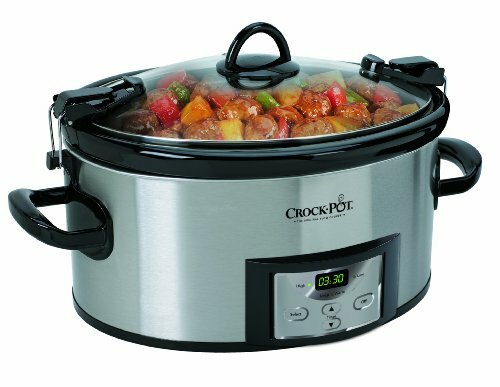 Do you have a slow cooker? 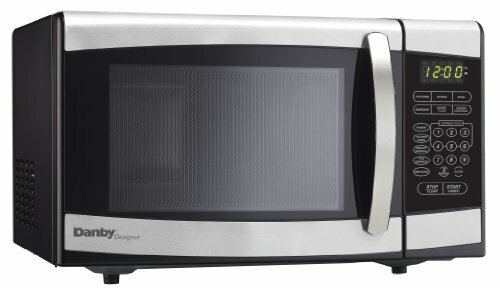 How about a microwave? Even a small electric frying pan will do! Using these kitchen appliances to make your holiday meals, big or small is more energy efficient than using your regular stove or oven. Guess what? We have all of those appliances! Remember the hubby with the kitchen gadget problem? He even had to buy a separate storage closet just to hold them all! 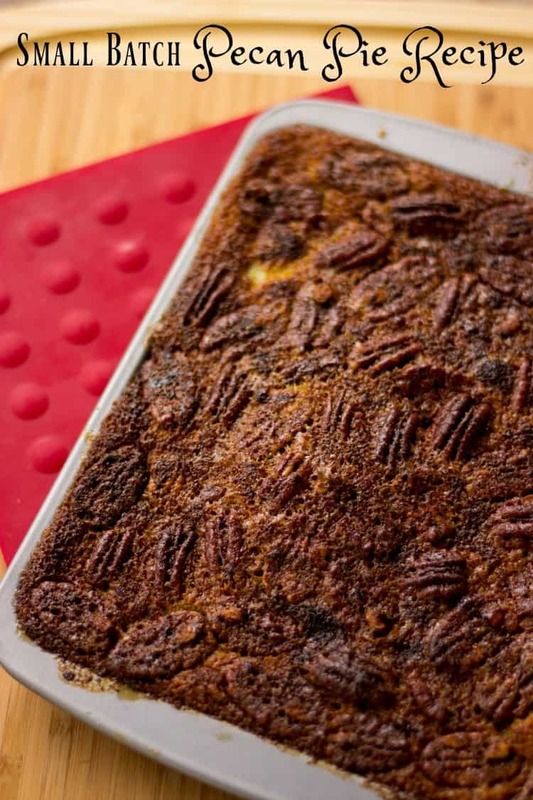 This recipe was adapted from a Pecan Pie for One Recipe. 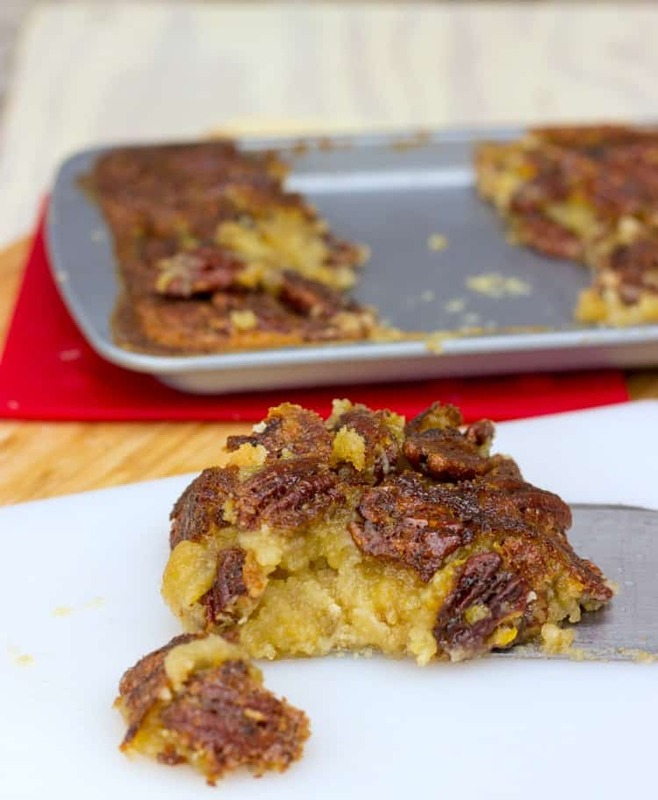 I doubled the recipe and I would have to say it’s actually a Pecan Pie for three or more. Using a 10 x 7 pan in the Hamilton Beach Toaster Oven made a batch that would be great for a small holiday dinner party. You can even cut them in smaller pieces to add to a dessert tray for the office or family holiday celebration! First you will need to make a simple shortbread style crust. Slowly add in flour, salt and cornstarch. Beat until a soft dough forms. Press dough into the bottom of a greased 10 x 7 pan. Bake at 325 degrees in toaster oven for 13 to 15 minutes or light golden brown. Set aside to cool while you prepare filling. Mix all ingredients except pecans in small bowl. Pour filling over crust. You may end up with a little extra syrup is your pan edge isn’t high enough. I had about an 1/8 cup extra. I didn’t use. Bake on center rack of toaster oven for 18 to 20 minutes or until golden. 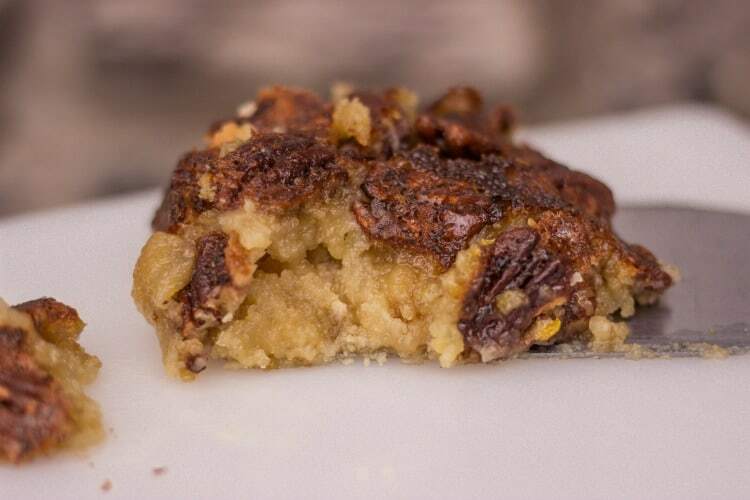 Baking this small batch pecan pie recipe in the toaster oven was definitely a time and money saver! This recipe bakes for 12 minutes less than the original. That freed up some time, but was also the most energy efficient way to make dessert! What kitchen appliances do you plan to use to have an energy efficient holiday season? It’s so exciting to find new ways to do the things you love, while saving time and money along the way! I’m glad to share with you that PPL Electric Utilities offers tools, tips and energy efficiency programs to help customers save. Visit pplelectric.com/savings for more information. Use was paper to press dough into the bottom of a greased 10 x 7 pan. Pour filling over crust. You may end up with a little extra syrup is your pan edge isn't high enough. I had about an 1/8 cup extra. I didn't use. 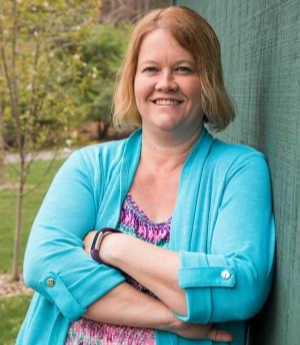 Are you looking for more energy and cost saving holiday tips? Visit all of the other Project Envolve bloggers for energy efficient ideas you can use to make your own holidays merry and bright! Homemade Nonstick Spray Quick, Easy, and Frugal! 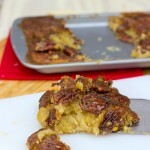 I love pecan pie….this recipe gives me permission to not overindulge! These look delicious. Dessert is my favorite food group! 😃 My mom has a convection oven and she absolutely loves it!